When managing employees, it is only natural to want them to like you. Everyone works better in a positive environment. 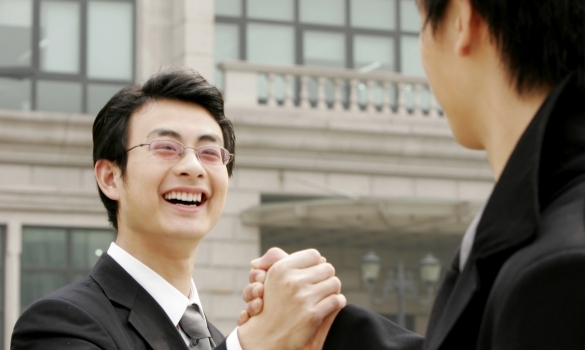 However, there is a fine line between being a friendly manager and a friend to your employees. Crossing the line can result in favoritism and loss of respect from employees. In addition to having a great employee performance evaluation, here are proven tips to avoid falling on the wrong side of the fine line between manager and employee. To avoid the fine line between manager and employee, the first thing you can do is avoid hiring your friends. You may think work will be more enjoyable with a friend around, but it complicates matters. Hiring a friend immediately makes other employees nervous, decreasing your overall employee engagement. They will assume your friend will receive better treatment through favoritism. This is the most important tip in this post. To avoid the fine line between manager and employee, do not hire your friends. Even if you are friendly with your employees, you must adhere to policies. Letting an employee get away with tardiness or poor behavior because you are friendly is unacceptable. For example, don’t allow one employee to work from home and say no to another. This will seem like favoritism to other employees. You will lose their respect and ultimately their employee performance will drop, as well. To avoid the fine line between manager and employee, you must establish and adhere to work policies. Employees may wish to blow off steam at the end of the week with a few drinks. In major cities like New York or the Hong Kong business market, there might be a work party over the weekend. The best way to avoid the fine line of manager and employee is to politely decline invites to these events. Being too social will introduce the idea that you are a peer instead of the boss. There may be a few exceptions, such as retirement and holiday parties. If you do attend a social event, it is best to politely leave early. That way you can make an appearance but give your employees time to relax without the boss. When managing people, it is best to politely decline social invites to avoid crossing the fine line between manager and employee. Employees will question tasks you assign them. They might want to know why they have to do a particular job you gave them. Your best bet to avoid crossing the fine line is to not explain yourself too much. Of course, you must give clear instructions on how a task should be completed for effective employee management. However, you should not explain too many details on why you assigned a task. Try to refrain from using condescending language, but make it clear the task must be completed in the way you wish. You are the boss. Explaining yourself to employees can appear defensive and weakens your position of authority. To avoid crossing the fine line between manager and employee, do not over-explain yourself. It is best to leave your personal life at home and keep the workplace professional. To avoid crossing the fine line between manager and employee, try not to share too many personal details. Be polite and friendly with your employees, but do not tell them your whole life story. Sharing private details will cross the line between manager and friend. Keep conversation to non personal topics such as sports and television, or keep it work-related. Oversharing can make employees think of you as a peer instead of the boss, which will negatively impact employee performance. It is best to avoid the fine line between manager and employee by not sharing personal details. If you want to maintain or improve relationships between manager and employee, you absolutely have to make communication a priority. You can start by investing in a unified communications service to facilitate team interactions. Good communication is one of the most fundamental elements of an efficient, productive and motivated workplace. To improve workplace communication, you can bring communication skills workshops, team building training sessions and seminars to your organization. This will help teach you and your employees how to communicate effectively and appropriately in the workplace. Although you may have to keep some distance, you can still show that you care about employees by solving their problems. The relationship between managers and employees can flourish when managers listen to employee concerns and takes action. Sometimes, managers can coach their employees to solve problems. Other times, it might require some extra work on the manager’s behalf. Whatever the solution is, employees will appreciate the relationship when they know managers are there to help them succeed. When managing people, it is best to avoid blurring the fine line between being a friendly manager and being a friend to your employees. Being too close to employees can damage your authority and lead to loss of respect. Remain friendly with employees, but do not directly hire your friends. Avoid social gatherings where possible and try to not share too many personal details if it is necessary. Establish work policies and do not over-explain yourself when assigning tasks like working with the Facebook business manager. Remember this post and follow these tips to avoid unintentionally crossing the fine line between manager and employee.